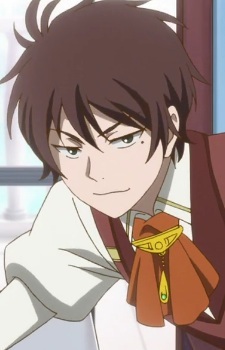 Raji is the prince of Shirayuki's mother country, Tanbarun. Regarded by his people and known even by the neighboring country of Clarines as an idiotic and selfish prince, Raji does as he pleases. Raji orders Shirayuki to become his concubine simply because she has rare red hair. In response to this absolute order, Shirayuki cuts her long hair, leaves it behind, and escapes to the neighboring country. After Zen is poisoned by an apple (sent by Raji) intended for Shirayuki, Raji forces Shirayuki to come to his castle to be his concubine in exchange for the antidote. Shirayuki almost complies before a recovered Zen bursts in revealing himself to be the second prince of Clarines. He orders Raji at sword-point to leave Shirayuki alone or else strain the relation between Clarines and Tanburn. Raji of course, obeys. The shoujo genre is filled to brimming with sparkling love stories and romantic drama where an everyday girl somehow ends up with an attractive guy. But what if there's one which does away with the genre's status quo? This is first episode recap of Akagami no Shirayukihime. The fairy tale story is about a girl meeting a prince, and they slowly start to fall for each other, until of course an unexpected event happens that puts their relationship in jeopardy.